A German woman is killed by a shark off the Egyptian Red Sea resort of Sharm el-Sheikh, days after beaches were reopened following similar attacks. Last week four shark attacks took place in Sharm, I read that a couple of Russian divers had their arms bitten off so they were quite serious. Sharm and the Red Sea is probably the number one diving place in the world for Brits and Europeans and large Oceanic White Tips are frequently seen, although they never attack divers. I would guess there is either an injured or elderly shark that is unable to hunt it’s natural prey in the area and is now feeding on divers. I hope they do not go over the top and start killing every shark that they see in the waters around Sharm. They have already claimed to of killed the shark responsible prior to yesterdays killing, however, none of the sharks caught were Oceanic White Tips. Yes Wossa, I would hope there is not a rush to start slaying sharks, We have to remember we are entering their territory not the other way around and must respect the fact that to swim in the ocean can be a wonderful and beautiful experience but is not without dangers. 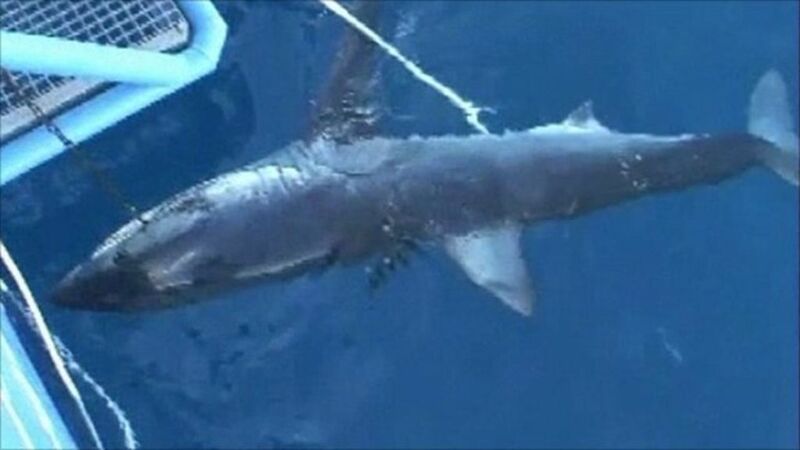 Do we know the guilty shark(s) were Oceanic White Tips? Also, how would anyone know if the sharks that were killed were “guilty”? I’ve seen on TV that injured or elderly sharks unable to get normal prey may attack humans. I have also heard that sharks may normally attack humans on the surface (in this case, snorkeller), mistaking them for their “natural” prey. Hmm. Divers often do surface swims too. Puzzling questions and thoughts. There were a number of factors that were found to be the cause of these attacks, as per normal, the biggest issue was human related. A couple of boats were found to be ‘chumming’ the waters, one even leaving a carcass of a dead sheep over the side of boat to attract Oceanic Whitetips into the area. This can cause confusion with the sharks and they then come to associate divers with injured prey because of the blood and decaying flesh already in the water. Not really the sharks fault, you can’t play with fire and then not to expect to get burnt. Sharks will actively avoid any contact with humans where ever possible, they really are not interested in us to eat at all. The majority of attacks are down to error, and most people bleed to death as the shark will release once it realises that it has attacked the wrong prey. More people are killed by coconuts falling from a tree then by sharks each year. Not forgetting that 100 million sharks are slaughtered needlessly every single year for the disgusting trade of shark fins for the purposes of soup. With this, and the terrible over fishing and polluting of our oceans, the Sharks are now facing a very bleak future. It is a real privilege to see these wonderful creatures in the ocean. I leave for a liveaboard to the deep south of the Red Sea in a couple of weeks to hopefully dive with Oceanics, I will post some pictures if I am lucky enough to spot any.